We've tested and tasted our way through the recipes for Your Best One-Pot Meal and have emerged with two promising finalists. We've partnered with our friends at All-Clad to bring you our latest contest (plus a pretty amazing prize for the winner). 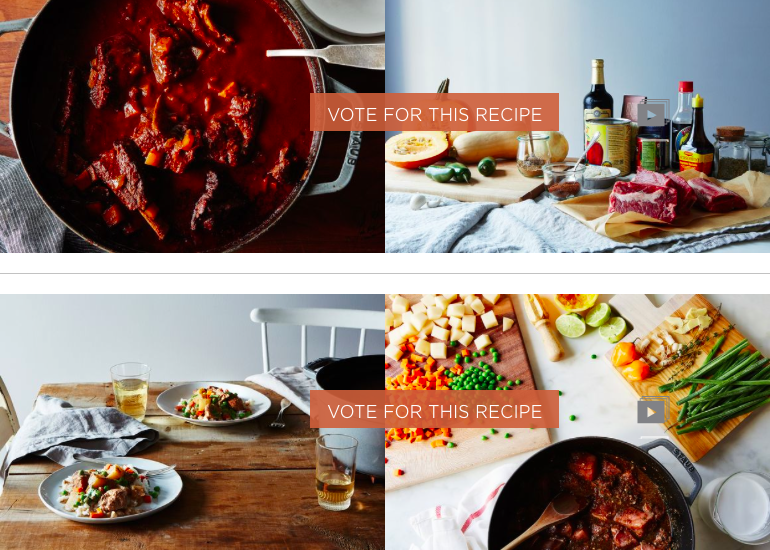 We've tested and tasted our way through the recipes for Your Best One-Pot Meal, and have emerged with two promising finalists: Short Rib and Pumpkin Chili from Pete and Jerk Pork Stew from Madhuja. Here's where you come in: We want to know which finalist will win your vote.